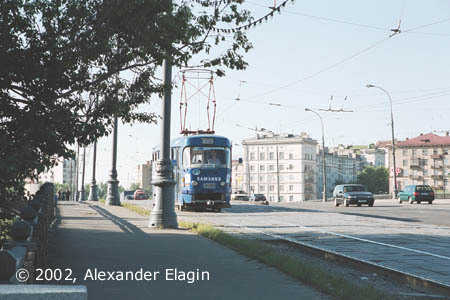 A tram line linked Presnya district with Leningradskiy Prospekt in 1929. 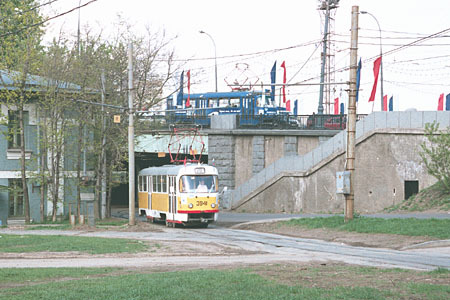 This line with years became the only thread that connected Krasnopresnenskoye depot with its network. The line, and the depot itself, were finally closed on May 26, 2002. Tram tracks in two levels. The underbridge line is a depot connection. 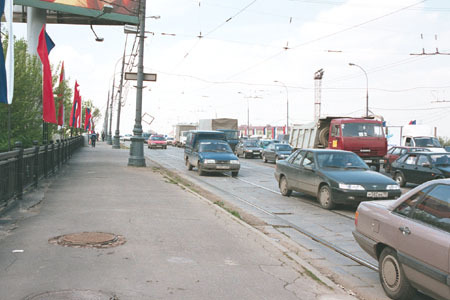 A view of 1905 Goda Street from the bridge, and the tram beginning its journey from Vagankovo terminus. 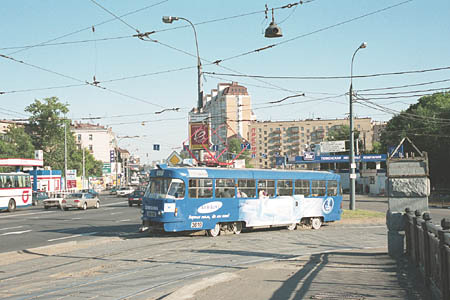 One of the last Route 23 trams on Vagankovskiy bridge, the last day of this line operation. The common evil of the last decade in Moscow - lots of cars with ignorant drivers. It does not matter that they have to stay away from the tramway tracks - the desire to overtake others stuck in a jam (be it even 5 minutes to wait) prevails.